Before you throw away your Throw Rugs that are continually wrinkled, somehow mysteriously moving across your floor on their own and when stepped on allow you to practice your downhill skiing capabilities, have you ever considered using our Stay 'n' Place slip resistant Tabs? These easy to use cleverly designed square Tabs have a specially formulated adhesive technology that will help keep your rugs in place, looking neat and attractive and won't damage your floors or rugs. Can the solution really be this simple? Call me crazy, but yes it really is. By peeling the first liner off and placing each one of the four Stay 'n' Place Tabs in each corner of your rug you are already half way to eliminating the slipping and wrinkling that ordinarily takes place when using Throw Rugs. 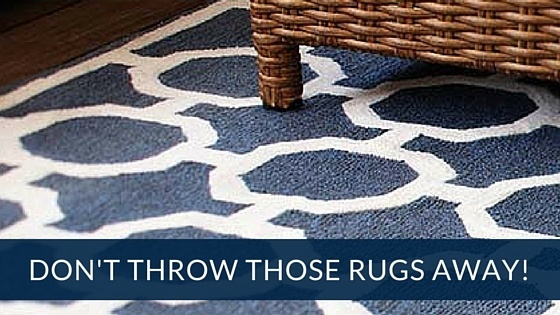 Now, just peel off the remaining liner on the Tabs and press them to the floor and just like that, you have a great looking Throw Rug which was what you had intended when you first bought it. If for any reason you want to readjust the rug or move it to a different location, the easy release Stay 'n' Place Tab will peel up off of the floor and be ready to use once again by simply pressing the Tab back down on to the floor surface. You can find Stay 'n' Place at many major retailers around the United States. Check here for a current list that is growing by the day. If you are a retailer or distributor who would like to join the growing list of retailers selling our product, we would love to talk.